I decided I wanted to try a new dish. I have no idea how to properly categorize it though. It ended up being complex with a variety of textures and flavors. I’m pretty happy with how it turned out. Really spicy too! Open the beans, the water chestnuts, the bamboo shoots, and the diced tomatoes. Drain them. 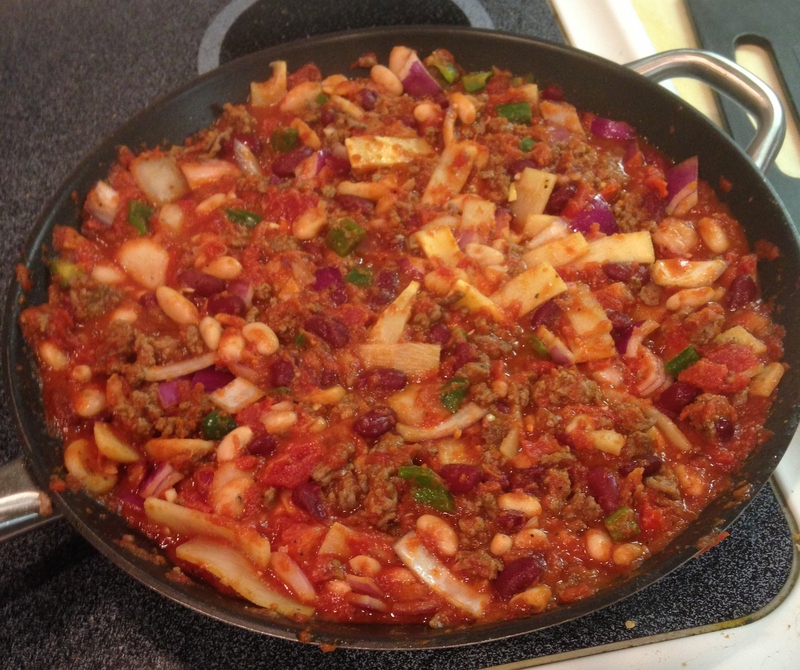 Put all the beans in one bowl, the water chestnuts and bamboo shoots in another and the diced tomatoes in a third. You’ll be adding them at different times. Dice the habaneros and jalapenos. Do not seed them! Chop the onion into 1″x2″ pieces. Ish. You want them bigger than diced, but not so big they don’t fit the fork. Brown the beef on high, cutting it into small pieces as you go as though you’re making chili. Put the beef back in the pan and add the beans. Turn down to a medium heat. Add the habaneros and jalapenos. Add the spices. I added a lot of garlic powder, probably 3 tablespoons. I added less onion powder because we have an onion, maybe one tablespoon. A teaspoon of cayenne pepper, a teaspoon of salt, a teaspoon of pepper. I’m guessing at all those sizes. I put enough garlic powder on to cover the pan, around 1/2 to 1/3 the onion powder. A scattering of cayenne, maybe 5 shakes spread across the pan and salt & pepper to taste. Add the water chestnuts and bamboo shoots. Add the crushed tomato and diced tomato. Mix until everything is coated. Cook for 2-3 minutes. Cook for 5 minutes, let simmer while you get out the plates or bowls. Adding in this order keeps it from getting too tomatoey, keeps the bamboo, water chestnuts, and onion crisp and lets the peppers really permeate everything. 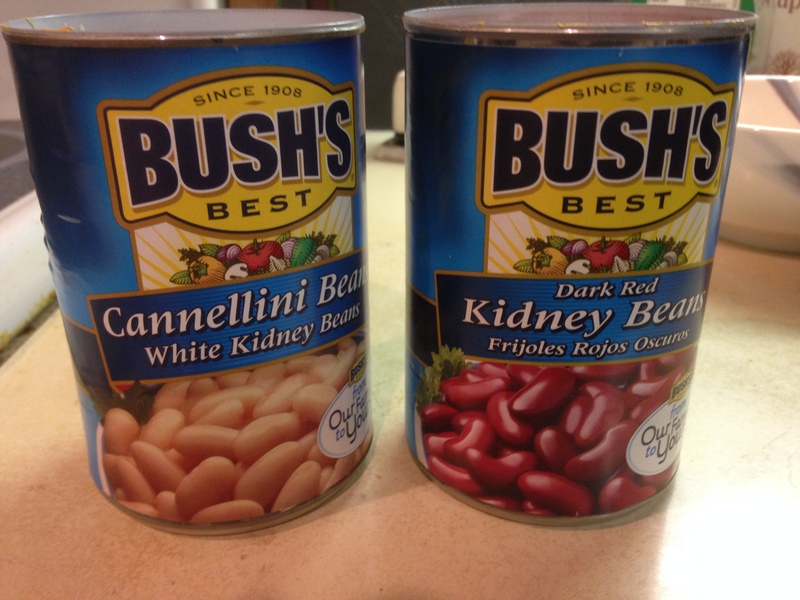 Here are the cans I used so you can get an idea of size. I think I want to use a larger pan next time, which means a pot. I felt like making some lemon chicken, but I didn’t feel like looking up a recipe so I came up with this. The measurements are all rather vague and I need to increase some of the incredients next time, but this turned out quite nicely. Add the spices. Around a teaspoon of salt, several tablespoons of each of the others. Perhaps only one tablespoon of the thyme. I shook each directly into the bag, so I’m trying to estimate how much of each went in. There needed to be a lot more of each of the spices other than the thyme and salt, so several tablespoons should do it. Seal the bag, removing excess air, and shake the bag thoroughly. Once the chicken is thoroughly covered, rub the liquid and spices into the breasts while everything is still sealed in the bag. 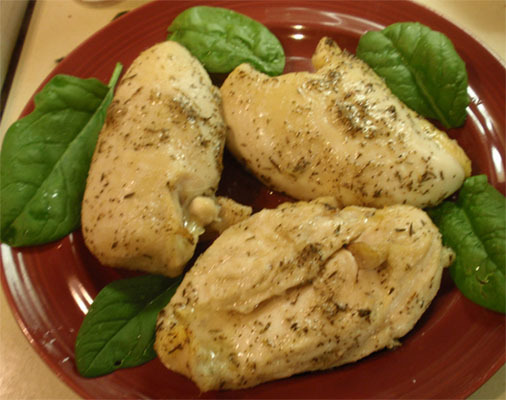 Place the chicken in a cassarole dish and pour all the liquid over the chicken, you’ll bake it in the marinade. Bake the chicken for 35 minutes. When we served it, we garnished with fresh spinach, one of the lovely things we get from our new garden. A simple dish and you can play with the spices. I may add something hot next time like Cayenne pepper. 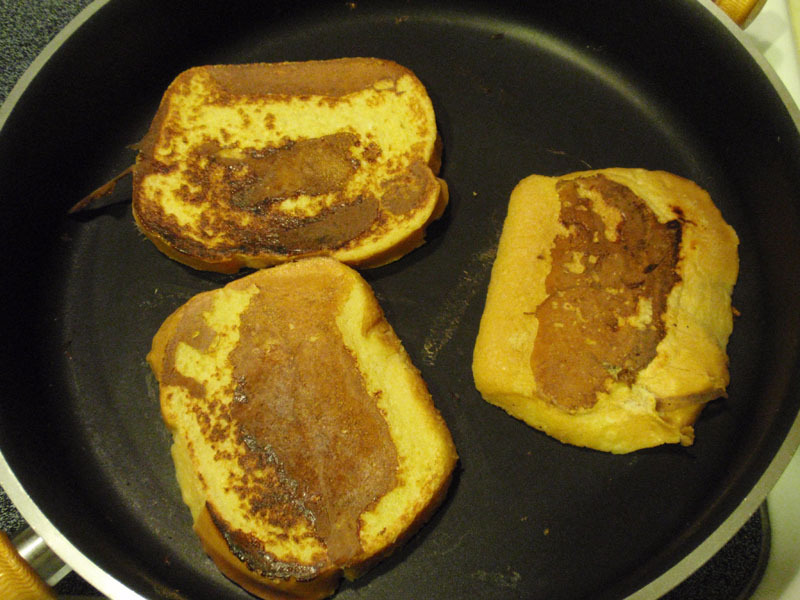 Awhile ago, we had some bread that had begun to go stale, so I thought I’d make french toast. I think it is a fun breakfast and I’d always heard it was invented as a way to get use out of stale bread. Whether that’s how it was invented or not, it turns out it is indeed a good way to use stale or at least slightly stale bread. Though we had the bread, we had almost nothing else. I had to go to the supermarket to get the eggs, milk and syrup. I think I’d used 2 eggs and 1/4 cup of 2% milk. I used 2% because that’s what I like to drink and on my cereal. It’d be worth trying it again with whole milk, though I think this batch turned out just fine. EDIT: I realized I forgot the secret ingrediet: a tablespoon of vanilla! I made sure I had the bread plate close to the batter and the bowl with the batter just about touching the frying pan. That way I’d be less likely to have random dripping that I’d have to clean up later. 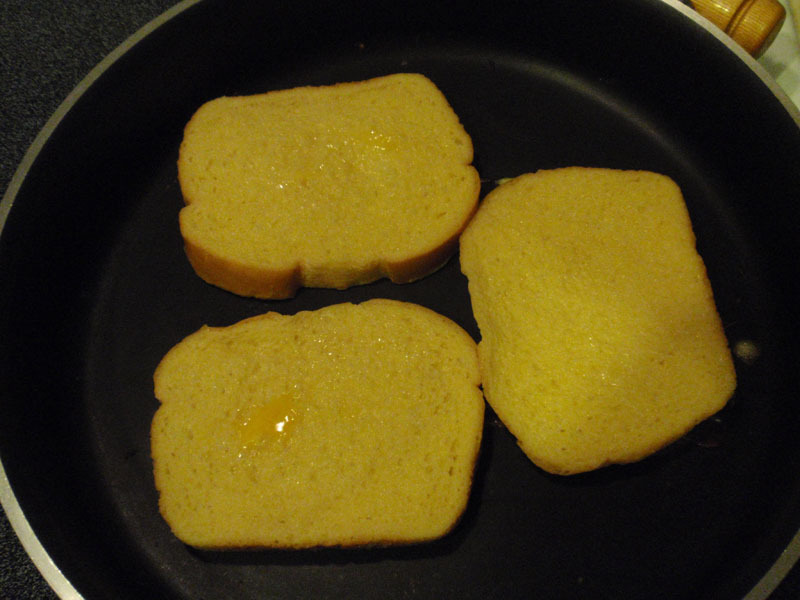 A fork turned out to be the best way to flip the bread in the batter and to get it into the pan. I didn’t use any butter or other greasing agent on the pan, trusting the batter to do the job. This too worked well. All done and on the plate. I think this is a delicious breakfast and even the end piece of the loaf worked well. I don’t know why I don’t make this more often. made a really good one tonight imho. Used 1 ib very lean burger, 1 onion, 1 can each pintos & black beans, 1 14 oz diced tomatoes, and 1 jar newman’s own medium salsa. Added a lot of chili powder & cumin, 1-2 tablespoons of dried crushed jalapeno and cooked it for 10 hours in the crockpot. I’ve decided I want to have Jello in the fridge to have something to snack on that isn’t high in calories. Unfortunately, I don’t much like my pudding cups and it feels odd to make Jello in corningware custard cups. We went to the Crate & Barrel looking for more suitable pudding cups, perhaps just some without metal bases. They didn’t have any. 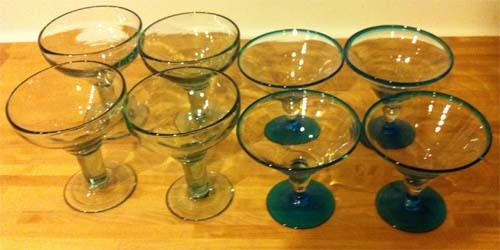 What they did have that I’m hoping will work just as well were Martini and Margurita glasses! They’re large enough that if I want to I can make a double portion, but should still be aesthetically pleasing with a single portion in them. They’re all hand-blown from recycled glass, so they have tiny bubbles trapped in the glass. It looks neat, but I keep trying to wash or dry the bubbles off until I look closer. And they’re still good for beverages including alcohol, I can use them to cut pastry or peirogis, I can serve other dishes in them and there’s probably uses I haven’t thought of yet. I think they’ll be a good addition to my kitchen. When I was a kid I didn’t eat mayonnaise. I thought it was disgusting, but I have no idea why as I’d never tried it. When I was in college a girlfriend’s mom made me some sandwiches for my drive home from MA to NJ and one of them was tuna with mayo. “It’s good, trust me” she said and she was right. Even though I enjoy tuna and mayo sandwiches now, usually with lots of black pepper, and occasionally add chopped celery or other vegetables it is still a fairly boring and bland sandwich. 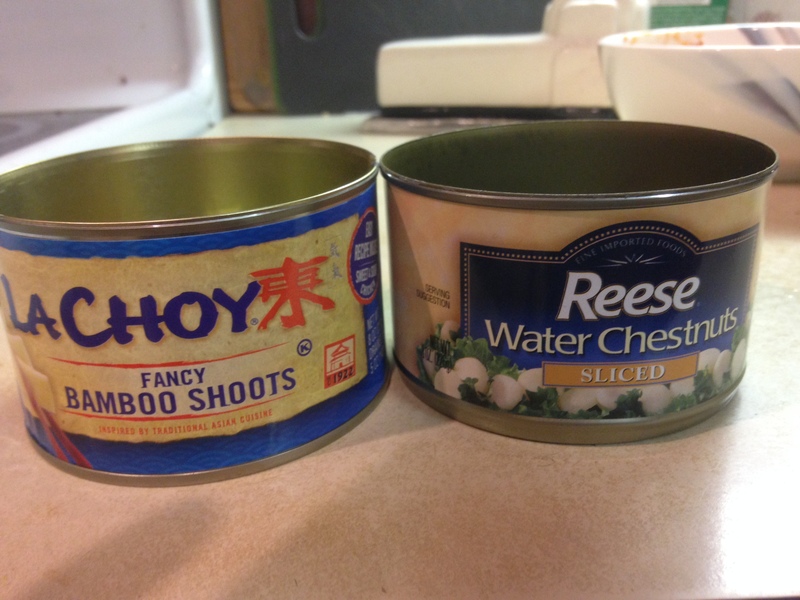 Recently I went to Mitsuwa in Edgewater, NJ and found a product that makes my tuna sandwich much, much tastier. I tend to add a lot, because I like it spicy. The first time I used it I actually added too much. I wasn’t expecting it to be as hot as it was, being a spread, but it was and it was delicious. I bought 2 kinds and I’m looking forward to trying the other one as well, but I’ll likely wait until I’ve used this up first. The only downside for some people is that it is in a bottle that is little more than a bag, which makes it extra squishy. I have no problems with it, but it does upset some people to touch it. A friend of mine thinks it feels like touching eyeballs and avoids this kind of container whenever she can. I’d never really tried much fish because I thought I didn’t like it. I most likely had that idea in my head from when I was a kid. I like canned tuna, tuna sushi, sardines, tuna steaks and salmon steaks, so I don’t know why I thought I didn’t like fish. I also don’t know why, with that idea in my head, that I decided to make haddock. I looked for a recipe on line and found one that seemed good and simple. It is for breaded, baked haddock and the original can be found here. I’ve modified it slightly, but only slightly. It makes quite a bit more than I was expecting, but is delicious so it goes fast. Add 1 tsp salt and mix well. Mix the bread crumbs, cheese and thyme and place on a large plate. I like to put it all in a tupperware container and shake it until I think it is well mixed, then pour it on the plate. Haddock fillets are larger than I thought they’d be, so I cut each in half. Place the coated fillet in the bread crumbs, and turn, again coating both sides. You’ll also want to get some on the edges. Do a half fillet at a time: egg, crums and into a baking dish. The original recipe calls for 1 baking dish, but there was enough fish that I had to use 2. Melt the 1/4 lb of butter. I have a nice, small pot to melt butter and it has a pouring lip on one side. I once exploded butter in a microwave, so I prefer to melt it on the stove now. Pour the butter over the fillets. Place both dishes on the top rack in the oven and bake for 15 minutes. Now I have to decide if I want to try other types of fish. Sure, you could just ball some meat, but where’s the fun in that? This is a recipe similar to meatloaf, but it works quite nicely for meatballs as well. 1/4 cup cracker meal or fine bread crumbs. Place the ground chuck in a medium mixing bowl. This scales up very nicely, so if you’re making 2 lbs of meat, just use 2 eggs and 1/2 cup cracker meal. Add the egg and mix a little. You want to break the yolks and start working the meat with the egg. Slowly add the cracker meal until you like the consistency. You don’t want the meat to get too dry. You’ll want to mix until it is uniform, no lumps. Make a little indentation in the meat and add 1 tbsp garlic powder. Mix it in thoroughly. Pinch off small portions and roll between your palms until you have balls. I like them a little bigger than golf balls. Brown the meatballs in the pot you’ll use for the sauce. If you have more meatballs than will brown at once, take them out once they’re lightly browned and replace with unbrowned ones until they’re all done. Place all the meatballs in the pot and add tomato sauce until the meatballs are covered. I find it usually takes around 4 small cans for 1 lb of meat. This doesn’t mean it’ll take 8 cans for 2 lbs. 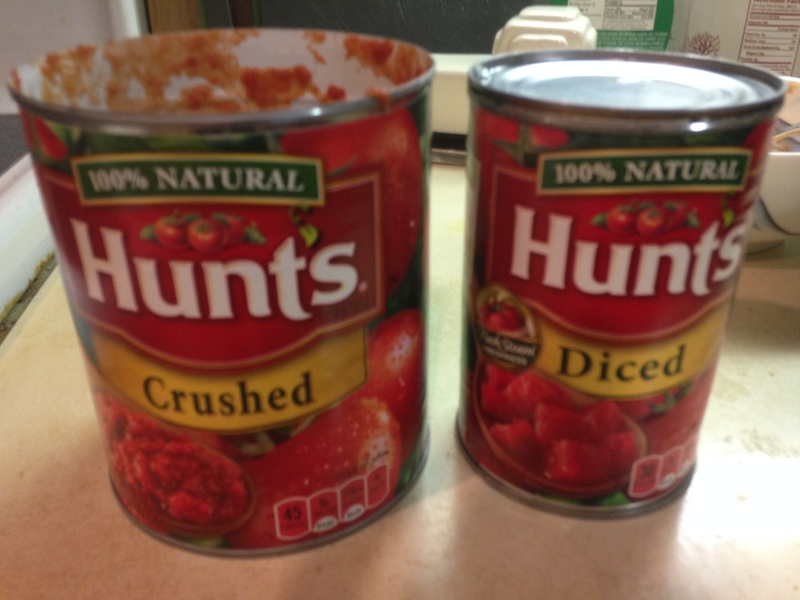 You might want to have 8 cans handy just in case, but you can stop adding sauce when the meatballs are covered. Add a small can of tomato paste and gently stir it in. You can add around 1/2 a paste can of water at this time too to break up the paste a little. The less water you add, the thicker the sauce will be. You’ll stir gently because you don’t want to break the meatballs. Add the spices you want to the sauce. Mix gently. If you like, you can also add one whole onion to the sauce for flavor. When the sauce is done, dispose of the onion. Or, if you don’t want to waste it, chop it up into fine bits and add it to the sauce. Once the spices are mixed in, bring it to a gentle boil, turn the heat to low, cover it and let it simmer until your pasta is done. This is usually around 15 minutes: 5 for getting the pasta ready to cook and 10 to cook. I don’t usually turn the heat off after browning the meatballs, so they’re cooking as I add the sauce and spices. This adds to the cooking time and the sauce likely will be bubbling by the time you’ve finished adding the spices. Emily and I made a croc pot stew. 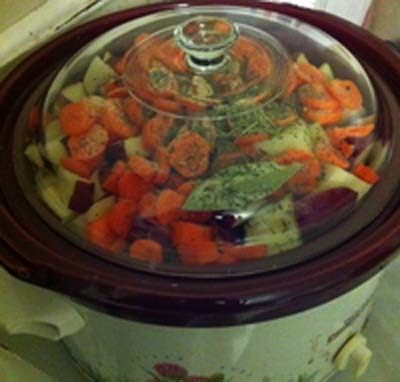 I really like how easy a croc pot makes a stew, throw a bunch of things in and let it sit. We didn’t really measure everything out, especially the spices, and I used too much chicken, but it turned out nicely. I completely forgot salt and pepper when adding spices, but that wasn’t a big deal as people could add their own and I added some at the end while we re-heated the stew at a friend’s place. The wine we used was Francis Coppola and it was suggested because it would be good for both cooking and drinking. As Emily just finished the bottle and the broth for the stew was good, I think that assessment was correct. Slice the scallions, carrots and celery into thin slices. Top off pot with more veggies if you’d like to. Add spices to taste. I have no idea how much of what I added as I just shook them in until I thought it was right. Set on low, leave overnight. Before serving, shread chicken, let stew at least 10 more minutes to get all the chicken flavored. EDIT: I just put the meat on a sandwich and it was excellent. 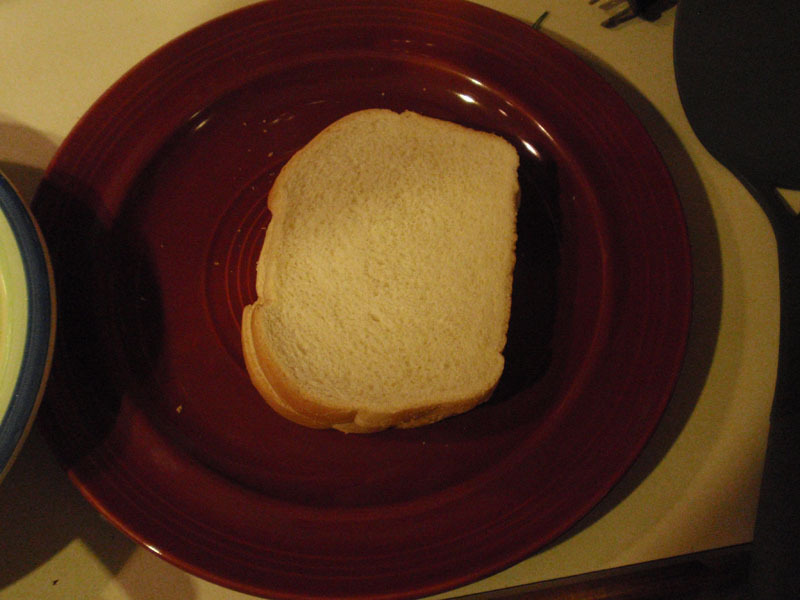 The croc pot might be a great way to make sandwich meat. Leave out the potatoes and you’ve got great sandwiches. Some friends who’d moved away came back for a visit and a hot pot luck was held in their honor. Other people brought spicy pulled pork, 2 kinds of wings, chili, stuffed peppers and more. I brought 2 pies. 1 was lemon meringue for people that wanted a non-spicy dessert and the other was the pie I invented: A chocolate, mango, cayenne pie. Emily helped me pick out the type of fruit to use and was brave enough to taste test my attempts at making the filling. I didn’t want to look up how to create the filling, I had some ideas and wanted to try making the filling based on my ideas for how to make a pudding. This had the potential to be completely disastrous, but would be fun either way. This is why I said Emily was brave to try the concoction. I started by making a small batch of mango-chocolate pudding. Emily tried it and said, much to my surprise, that it was good. Unfortunately, when I tried this batch I discovered I don’t like mangos. This meant I’d be relying on Emily for all the taste testing, fortunately she was up for it. 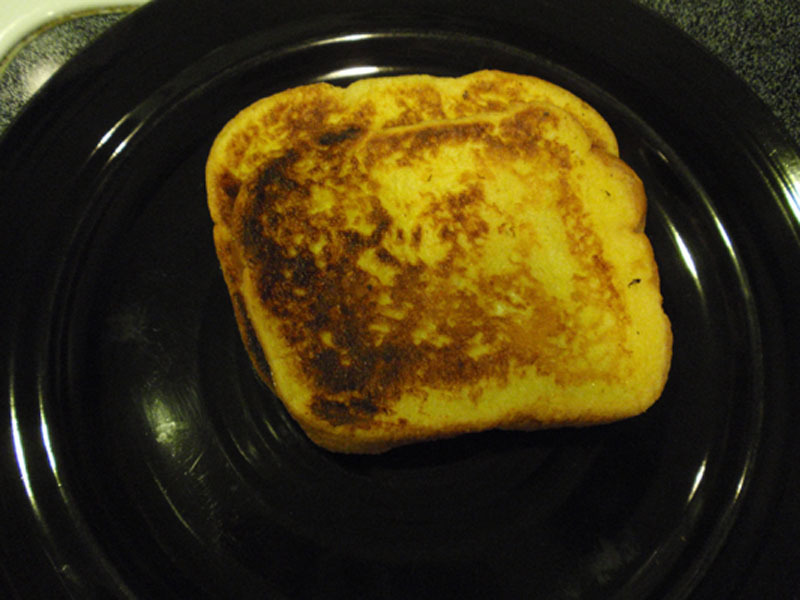 The first batch was a little uneven and the first bite was bitter while later bights overly sweet. However, once she’d finished the initial tasting, she quite liked it. The consistency was a little looser than I wanted, but this would later be fixed thanks to a suggestion from my co-worker Shalu. She suggested I try heavy cream instead of 2% milk and that helped immensely. I tried a larger batch with milk, adding some mango flavored rum. I also tried a batch with that combination and egg. There was a third pre-cayenne batch that substituted the heavy cream for the milk with no egg. That last batch was considered the best, so I made a final test batch with that formula and the cayenne pepper. This is the one I ended up using. My friends Mandy and Josh helped taste most of these combinations and agreed that the heavy cream was the way to go. When it came time to make a full sized batch, the pudding sized up well with no changes to the recipe. I made a standard 10″ pie crust and lined the bottom with sliced mango. 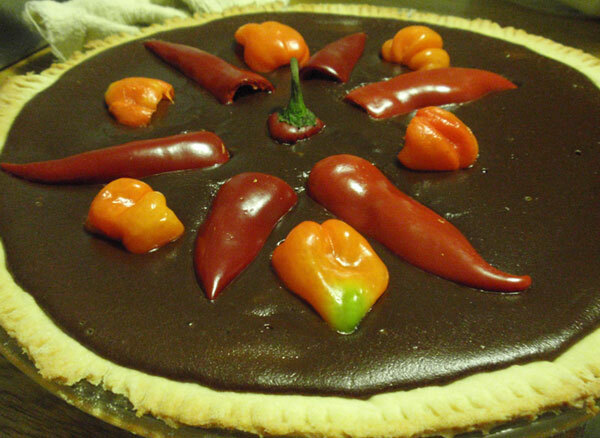 I poured the pudding over the top and Emily sliced up some jalapenos and habaneras for decoration on the top of the pie. 1 10″ pie crust. If you use a 9″ crust you’ll just have some filling left over. Prepare crust. You can make it from scratch or use a ready made crust. I use Jiffy crust, easy to make and it turns out nice and flaky. Place sliced mango in the bottom of the pie crust after you’ve baked it and the crust cools. Break the chocolate into pieces and place in medium pot. Pot should hold at least 5 or 6 cups liquid. Slice the butter into the pot. Pour the brown sugar into the pot. 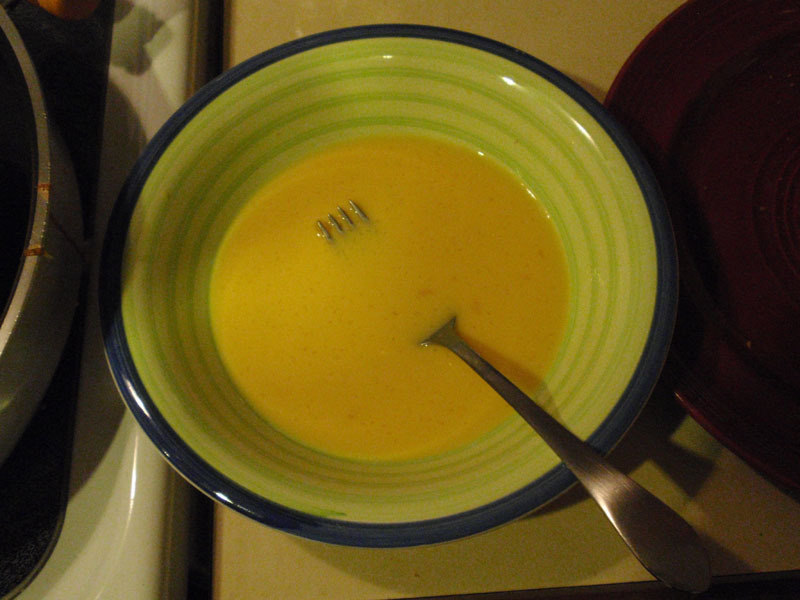 Measure out the mango, heavy cream and other ingredients and keep them in easy reach. Mix the flour and cayenne as it will allow both to blend easily into the mixture. On meduim-high heat, melt the chocolate, butter and brown sugar into an even mixture, constantly stirring. You’ll be constantly stirring from now until you turn the heat off. Once these ingredients are melted and well mixed, turn the heat down to medium and add the mango puree. I like to use a rubber squee-gee-like tool to make sure I get as much of the mango and heavy cream out of the measuring cups as I can. Mix the mango in until you can’t see it any more. Pour in the heavy cream, also mixing until you can’t see it any more. Pour in the rum and mix. Slowly shake in the flour/pepper mixture, stirring so it dissapears before you shake in the next small amount. You want to make sure the flour mixes in well and doesn’t form small lumps. As you’re stirring if you see lumps form, crush them against the walls of the pot. Continue slowly stirring until the mixture is at a full boil. It should stay at a full boil for around a minute. My mother taught me to stir in a figure 8 when making pudding with the occasional circle. You’re trying to make sure it doesn’t clot or burn and spread out the heat so stir through all parts of the pot. Once it is at a full boil, remove it from heat and let it sit for 5 minutes, stirring thoroughly twice. This keeps a skin from forming and spreads teh contained heat evenly throughout. You’ll know you’ve stirred enough when the top looks smooth and there’s steam coming up from the pot. After 5 minutes, pour the filling into the crust over the sliced mango. When crust is full to the top, allow it to cool to around room temperature. If you’re going to use a garnish, place it on while the pie is cooling. 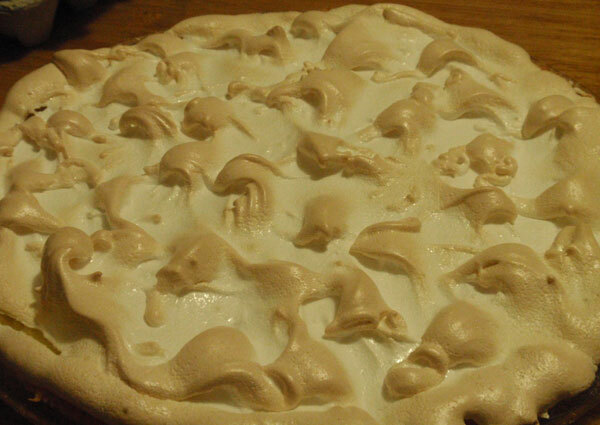 Place pie in refrigerator for at least 3 hours. I think this pie goes well with whipped cream. Having some handy for the pie will help people who can’t take the spice, but still like the flavors. Here’s a picture of the lemon merangue.